The Norpine Trail Association board is allowing fatbikers to use 16 miles in the trail system between Cascade Lodge and Lutsen Mountains — known as the Cascade Connector trail — on a trial basis this ski season. In a nod to fatbiking’s increased popularity in the region, fatbikers are OK to use the skate-ski lane when trail conditions are solid — meaning enough snow and seasonable temperatures that protect the trail from damage. The Norpine Trail Association, which gets money from resorts and businesses in the region, maintains 57 kilometers of trails. “Allowing fat tire bikes on the trail will provide another opportunity for their guests to experience the outdoors,” said the board in its newsletter. A ski pass is required for people 16 and older to use the trails. The expectation is that fatbike riders will buy the required state pass from the Department of Natural Resources. Passes are available at Cascade River State Park, Cascade Lodge and Solbakken Resort. 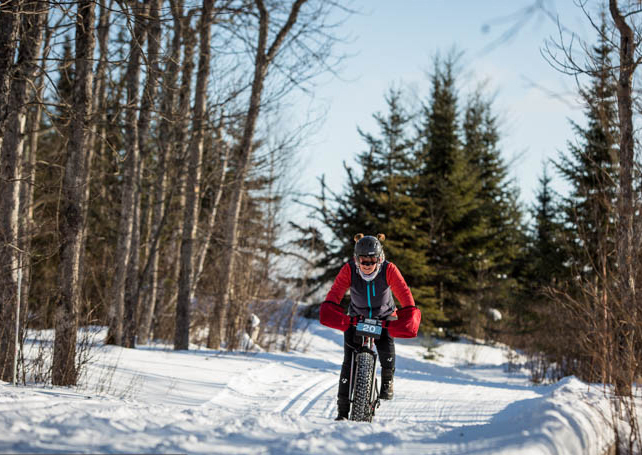 Last year, the Norpine Fat Bike Classic race was allowed on the trail. The race is back Jan. 6 in Lutsen.